​Based in London and York, Sam took up the viola da gamba under the tutelage of Susanna Pell while reading for his Master’s in music at the University of York. He has been a member of Fretwork since 2015, appearing with the group regularly live and on the radio both in the UK and internationally. He also appears as a continuo player and soloist on viol and cello with a number of early music ensembles. These include the viol consort Chelys, with whom he has recently recorded a CD of music by Dowland with Dame Emma Kirkby, as well as early music ensembles such as the Stanesby Players, The London Abel Quartet, Follia, L’Academie du Roi Soleil, and viol duo Ensemble Touché with Ibrahim Aziz. With several of these groups, he performs both early repertoire and modern compositions and has developed a keen interest in the performance of contemporary music on early instruments. 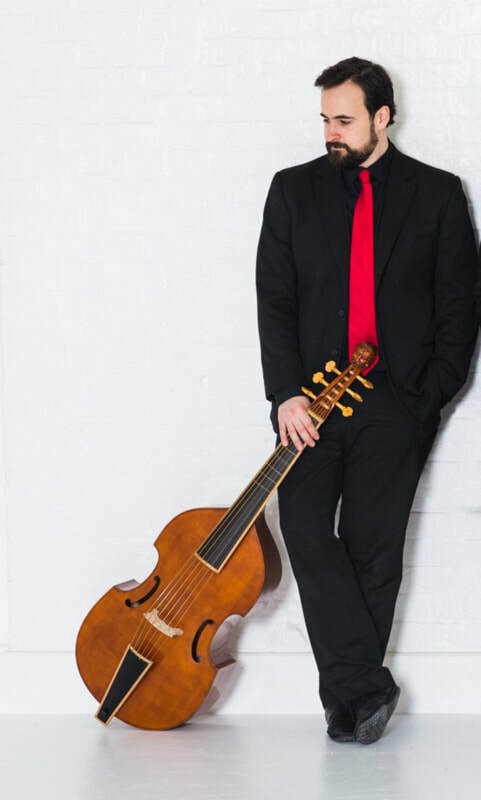 With Fretwork in particular, he has performed music by George Benjamin, Michael Nyman, John Taverner, Nico Muhly and has recently recorded The World Encompassed – a new work by Orlando Gough describing Sir Francis Drake’s circumnavigation of the globe. In October 2017, Sam will spend a month touring British Columbia with a programme of virtuoso music for gamba, violin, and harpsichord with Canadian artists Michael Jarvis and Paul Luchkow. In addition to his performing work, Sam is Professor of Viol Consorts at the Royal College of Music in London and has been an associate lecturer at the University of York and a guest lecturer at the Royal Academy of Music. He holds a PhD in the influences of poetry and declamation on the composition and performance of the pièces de viole in late seventeenth- and early eighteenth-century France. Sam plays a 7-string 'Bertrand' bass viol (2009) and a 6-string bass viol (2017) made by Jane Julier, a cello by Thomas Kennedy (c1818), and a 'modern' cello he built himself in the workshop of John Dilworth.